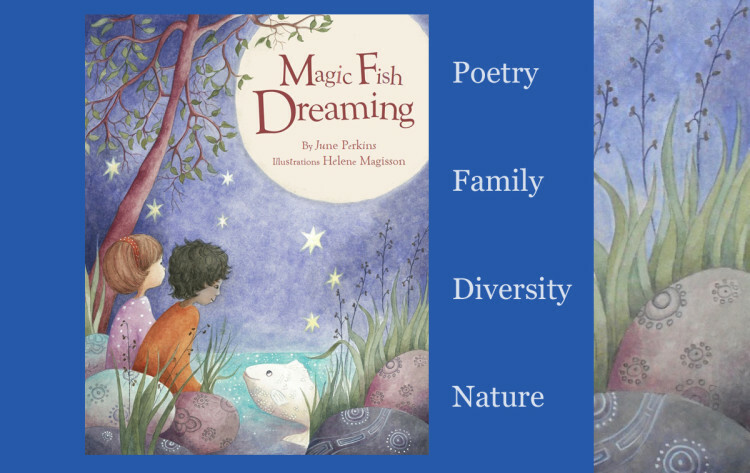 DISCOVER Kids Poetry book Magic Fish Dreaming, luscious creation of multicultural poet, June Perkins and illustrator Helene Maggison. Together, they created an exquisite illustrated book of poetry for children, Magic Fish Dreaming. I’ve backed June’s book on a Kickstarter crowd funding campaign, purchasing a copy of this book. June and I are active members of writing group, Write Links in Brisbane Queensland. June supports all my resilience books including Jo-Kin Battles the It and Harry Helps Grandpa Remember. Karen: Tell me about your poetry book? June: It’s a poetic celebration and exploration of nature, people and imagination in Far North Queensland. Within you’ll discover creatures like cassowary, gecko and crocodile, and the fun and dreams children can have there. Karen: Why did you write Magic Fish Dreaming? June: It evolved naturally from living in Far North Queensland for nearly a decade. I mentored writers of all ages, but especially young writers, in the arts of poetry. I realized I had a ‘place’ theme happening in my poetry. Writing the poetry of the North, became a great way to focus on all the things that make people want to live in the Far North. I wanted children to love poetry and realize it’s as diverse as their personalities and styles. Karen: What makes Magic Fish Dreaming stand out from other kid’s books? June: Magic Fish Dreaming doesn’t focus just on rhyme but on its Far North Queensland place setting. 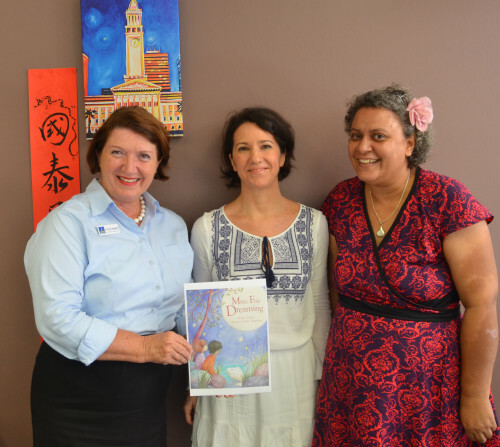 I like ‘place based writing’, showcasing the diversity of Australia to the world. Magic Fish Dreaming is a book, kids can grow up with. Karen: Why did you choose Kickstarter to crowd fund Magic Fish Dreaming? 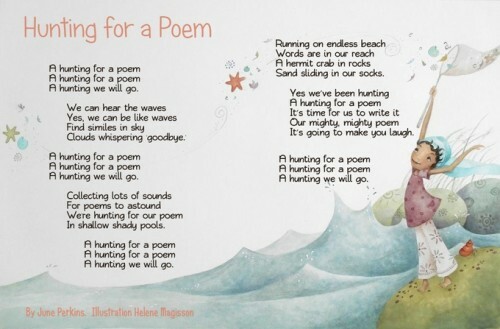 June: Children need the power of poetry, nature, and beauty in their lives. I wanted the FREEDOM of publishing my own book. I chose a gifted illustrator sensitive to diversity and conveying place, to interpret the poetry visually. I was so happy to discover illustrator, Helene Magisson’s work. When I received the samples from her, I just knew she was the illustrator I wanted to work with. Karen: How can people support Magic Fish Dreaming? June: Supporters can pledge, pre-order a book for themselves and a friend, or something special from our Kickstarter campaign. After that they can encourage others they know, teachers, schools, libraries, friends to support our book and give us shout outs on social media. Did you support this gorgeous picture book for children? Can you please share the LOVE, by commenting below, share , like tweet and Google plus? Thank you so much for this blog Karen. Since it went live the project has skipped to 74% of funds to our green light. Best wishes to all your readers and yourself and thanks for supporting diversity, nature and children’s literature. Much thanks from myself and Helene.